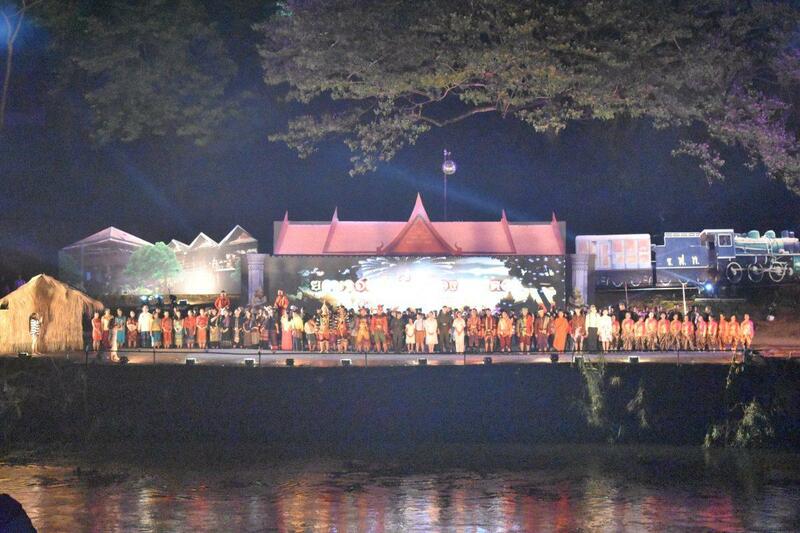 The World War 2 festival in Kaeng Khoi, Saraburi province is held every year from April 2-4. 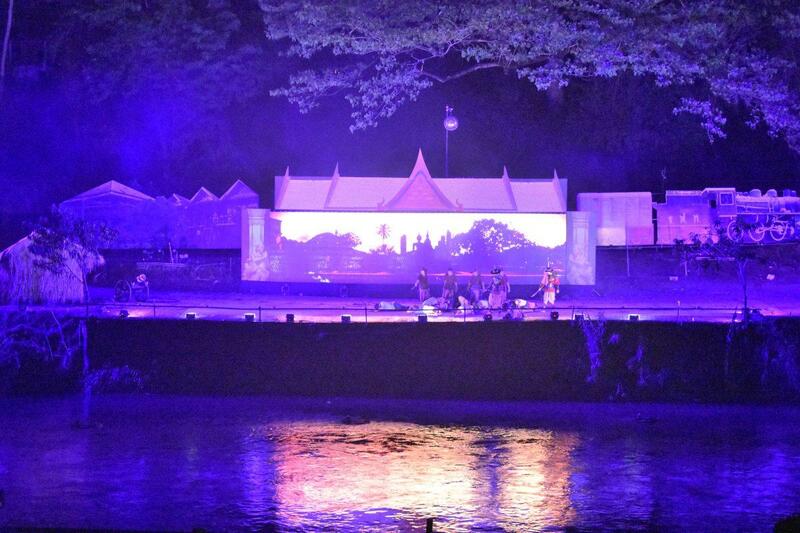 The three-day event features a Sound & Light show depicting the lives of people in Kaeng Khoi district during the Second World War. 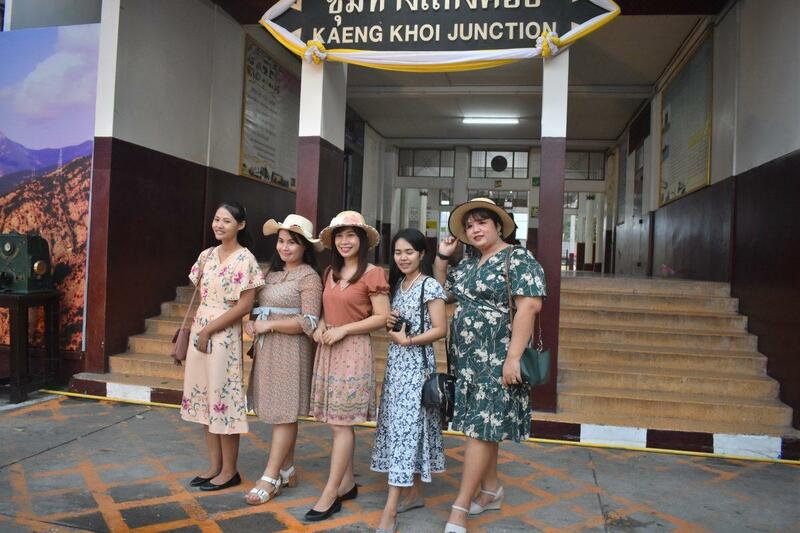 Kaeng Khoi is an important railway junction and was a major Japanese military base during the war. It was famously bombed by allied air forces on 3rd April 1945 killing many Japanese soldiers & local people. 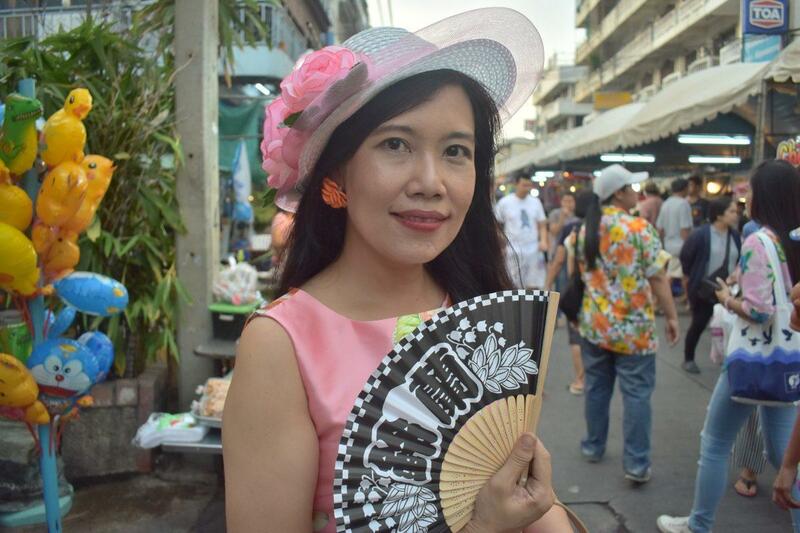 The event also commemorates those who died in the air raids, both Thai & Japanese. 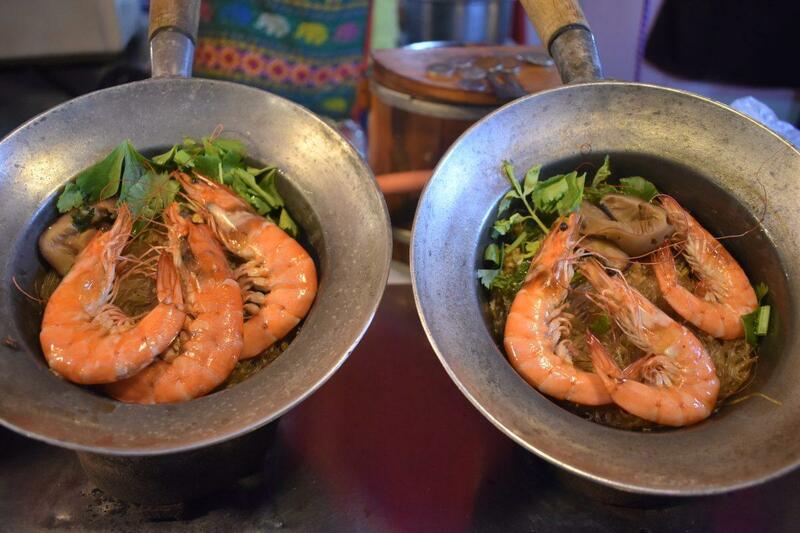 We traveled to Kaeng Khoi to check out this little known event and were pleasantly surprised at how good it was. 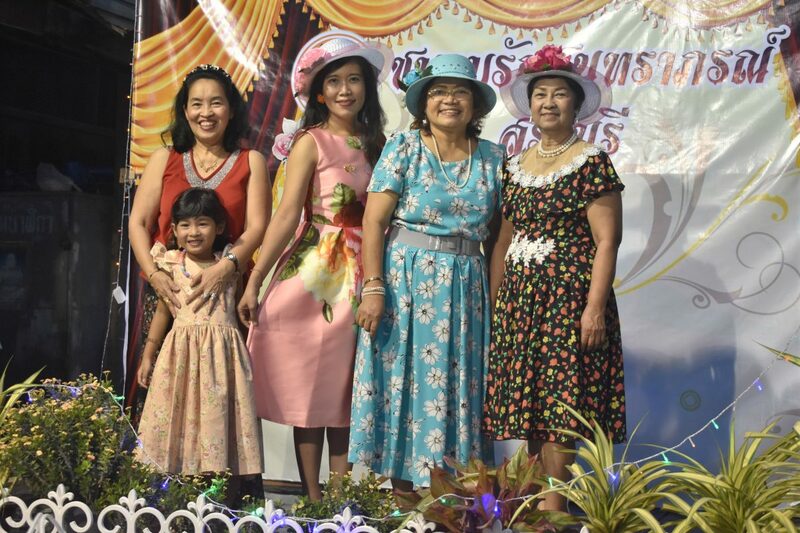 The event is popular with the locals many of whom try to dress in period clothing when attending the various events. 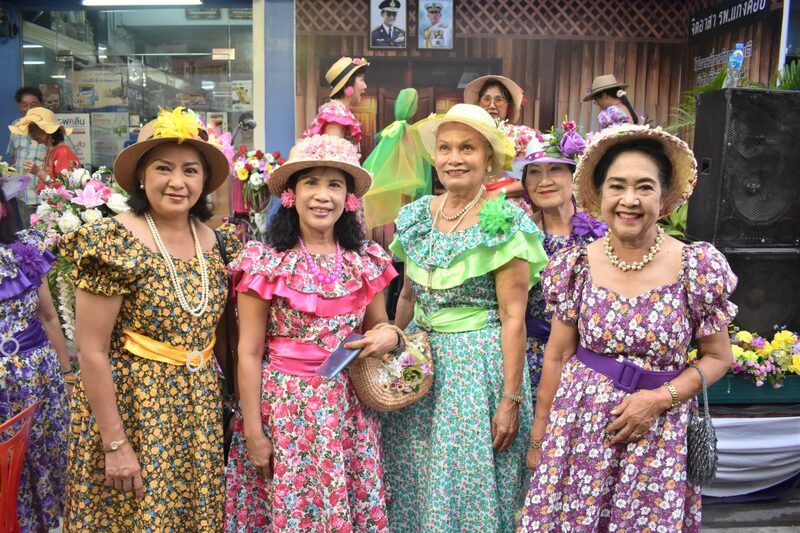 Obviously, this is difficult given the time that’s passed since world war 2 but some older people still seem to have access to a wardrobe from that era. 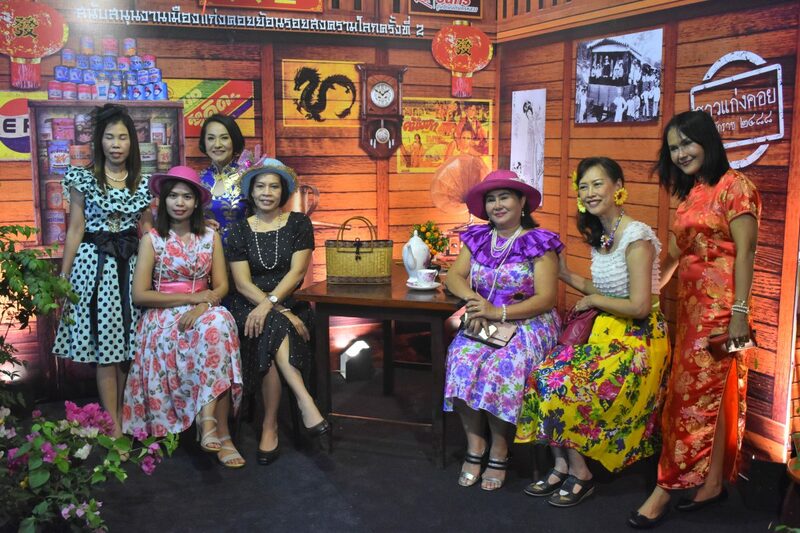 The most popular attire were Panama hats, long trousers & braces for men & knee-length flowery dresses for women. The festival’s events had two venues. 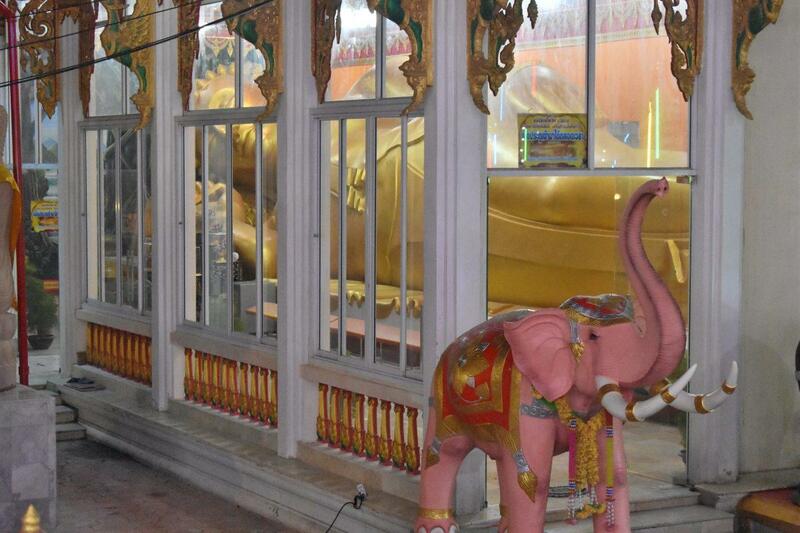 Firstly, Wat Kaeng Khoi, a beautiful old temple on the banks of the Pasak River. Secondly, on the road outside Kaeng Khoi Railway Station. which closed to traffic & turned in to a walking street. 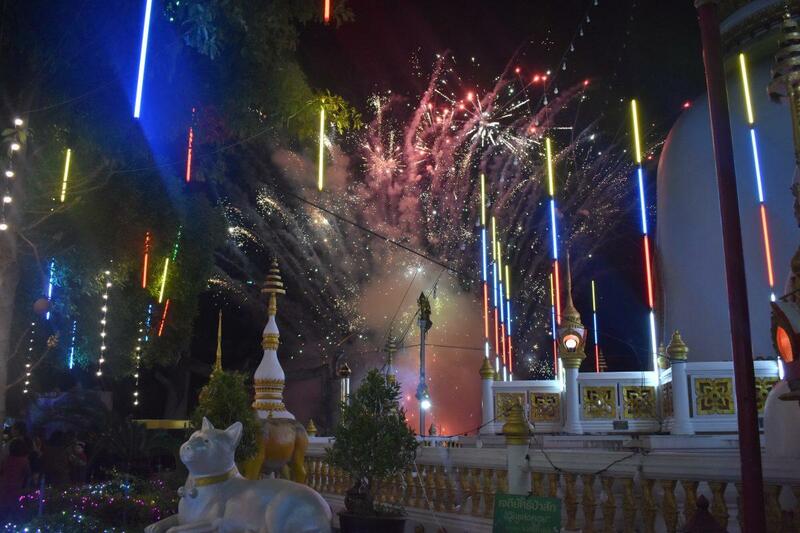 At Wat Kaeng Khoi there was a temple fair, food stalls, cultural shows, live music & a sound & light show. 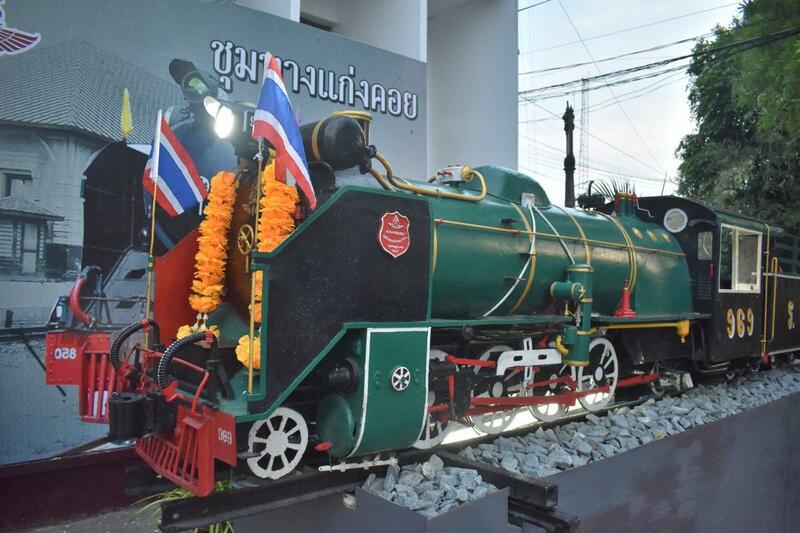 At the railway station, an old steam train engine was on display. 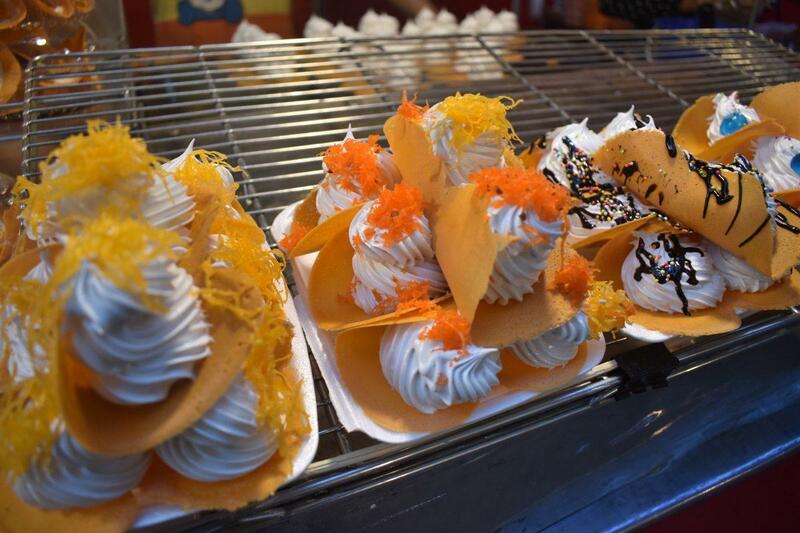 On the station road, there was a market, food stalls, & some small music stages. Just off the street was a large beer garden featuring some local rock bands to keep younger people entertained. 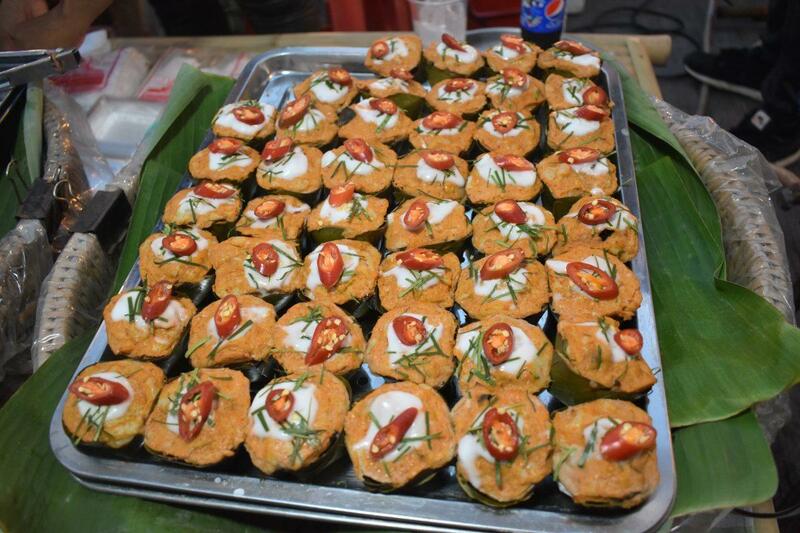 There was some awesome food on offer both at the temple & railway station. 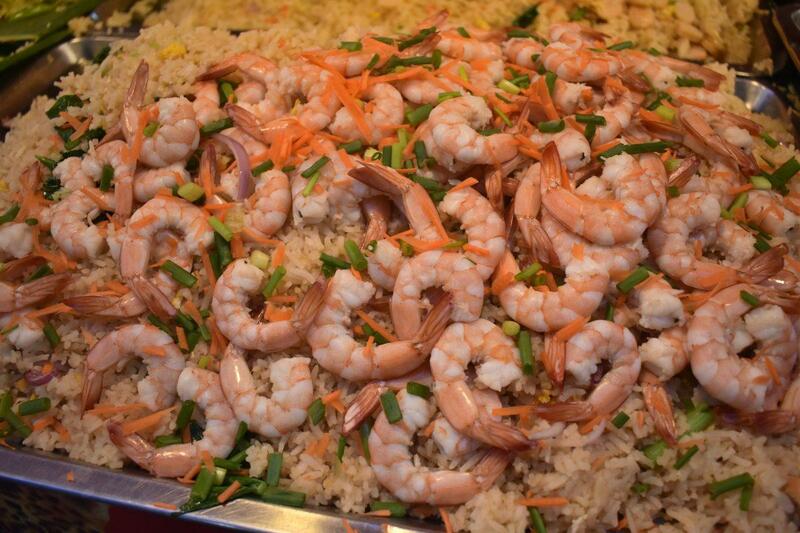 There were fresh grilled fish & jumbo prawns, Satay, Pad Thai, Papaya Salad, & loads more Thai delicacies. 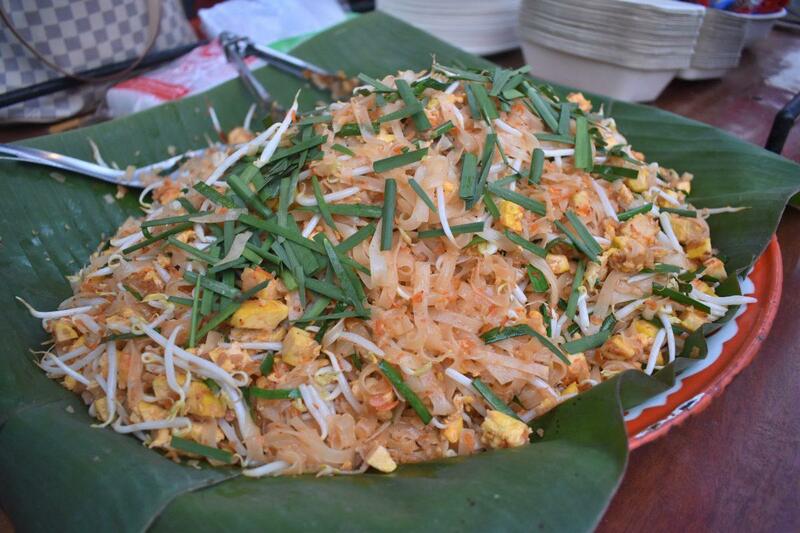 We tried the BBQ chicken & Pad Thai which were both excellent & cheap at 100 baht all in. 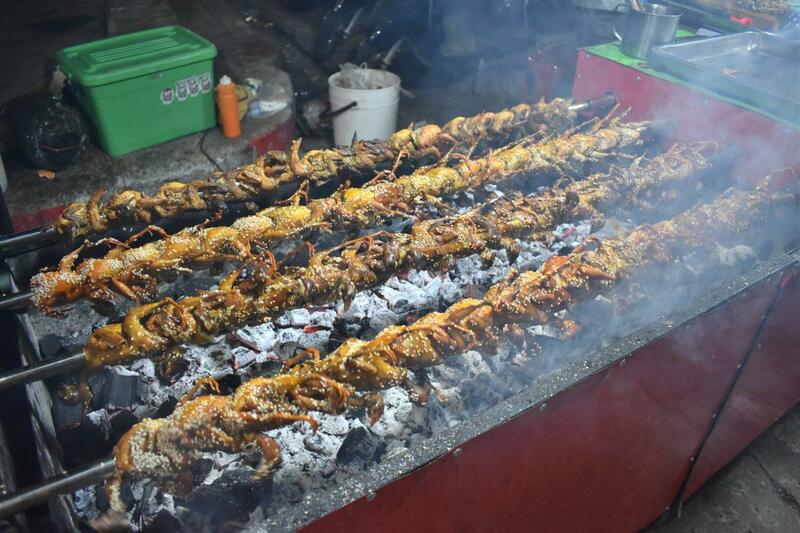 The most bizarre thing we saw (but didn’t eat) were small birds spinning on a rotisserie, apparently a local delicacy! 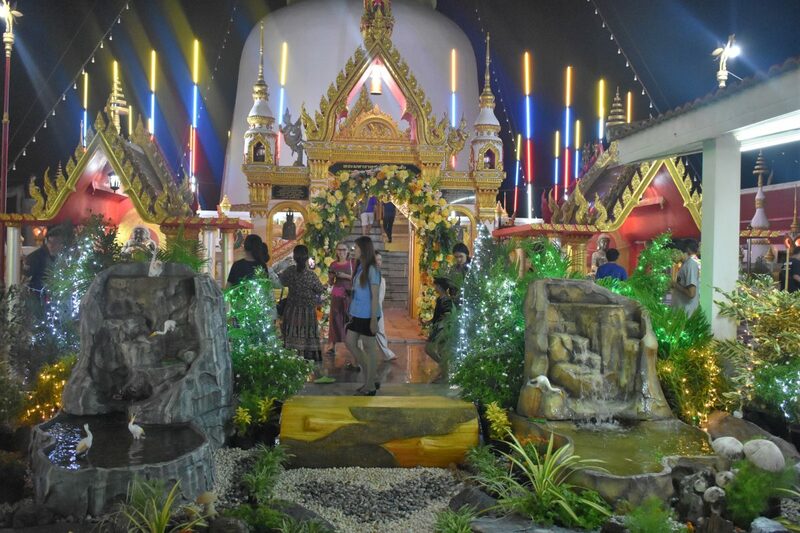 The grounds of Wat Kaeng Khoi contained a mini temple fair. There was a small Ferris wheel, kids play area, food stalls, a replica of a WW2 era coffee shop, & WW2 memorabilia. 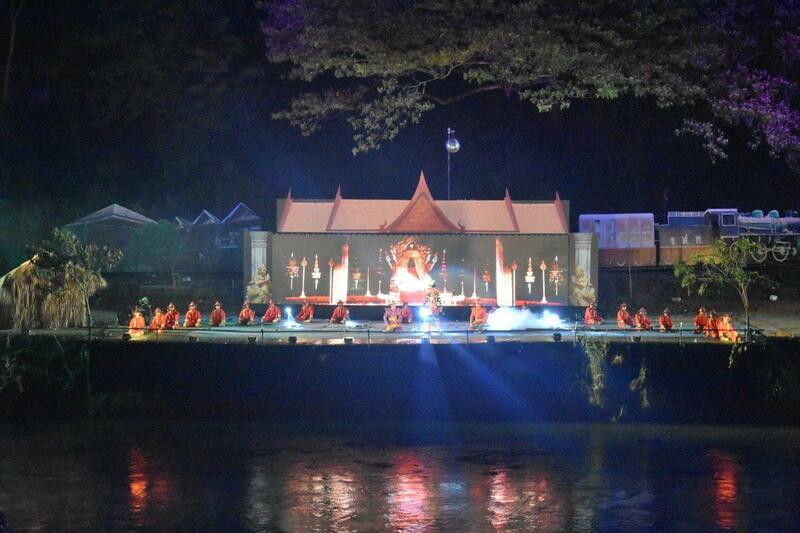 There was also a nightly concert on the big stage after the sound & light show. 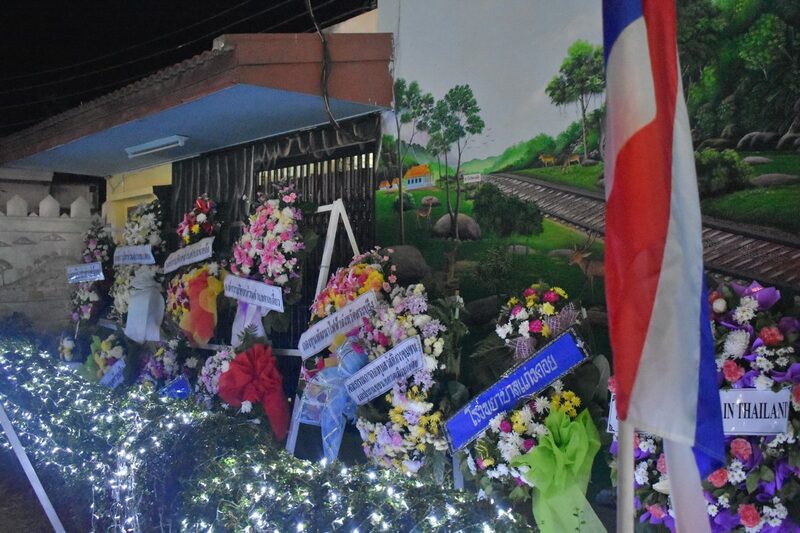 Many people came to pay their respects at the temple & to the victims of the air raid that the event commemorates. 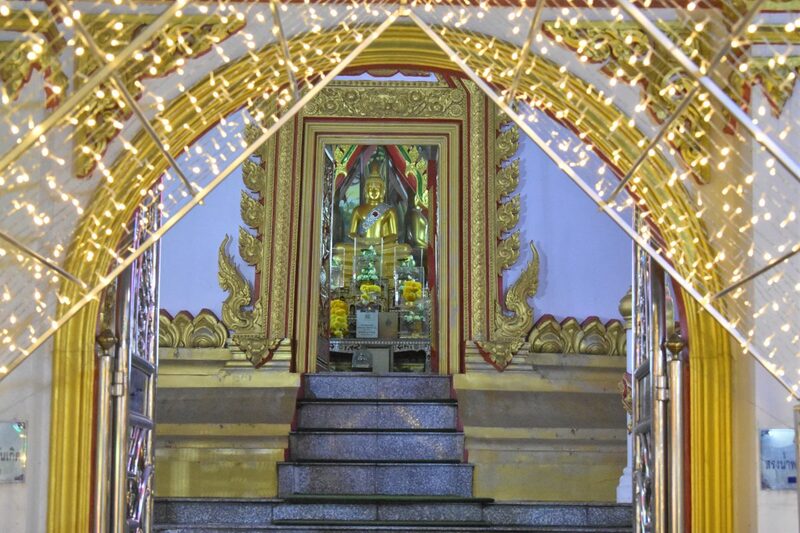 There are two monuments in the temple grounds, one to the Local Thai people & another to the Japanese railway men & soldiers. 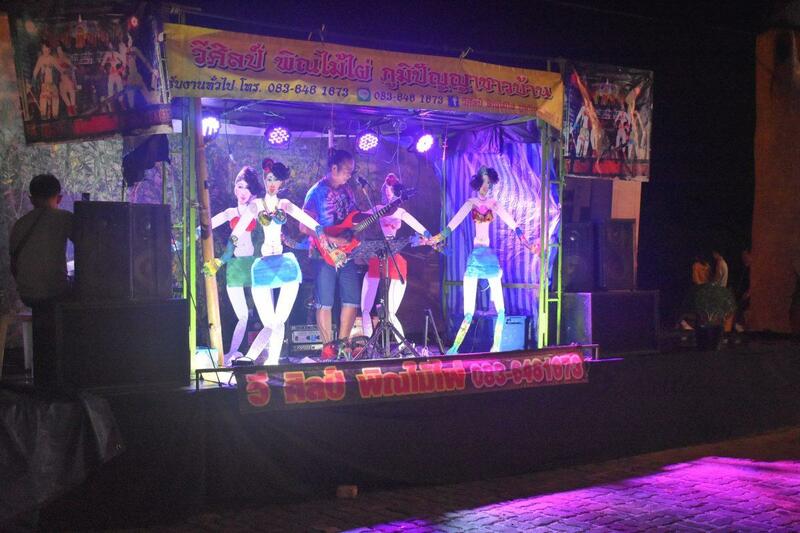 A special mention must go to the amazing one-man band who performed on a side stage. 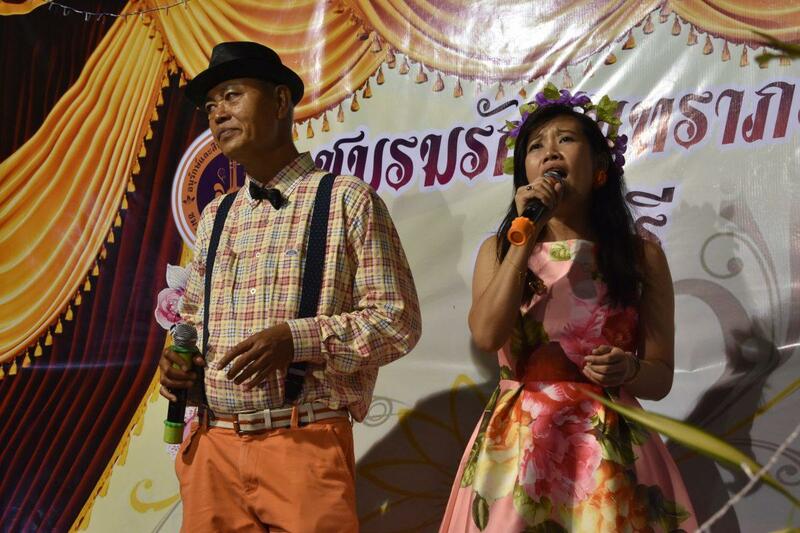 As well as playing an unknown Thai musical instrument which resembled a long bamboo tube with strings at one end. He had a troupe of cardboard dancers who danced to the music. See the video below! 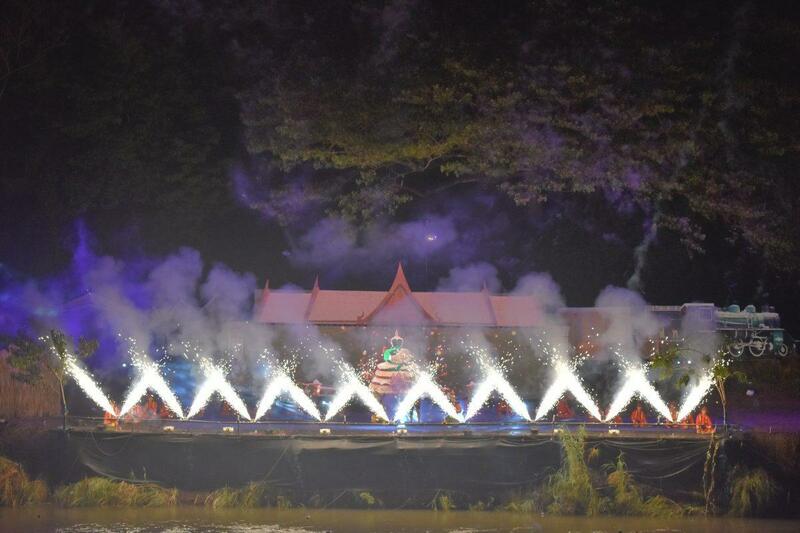 The highlight of the festival was the awesome sound & light show. 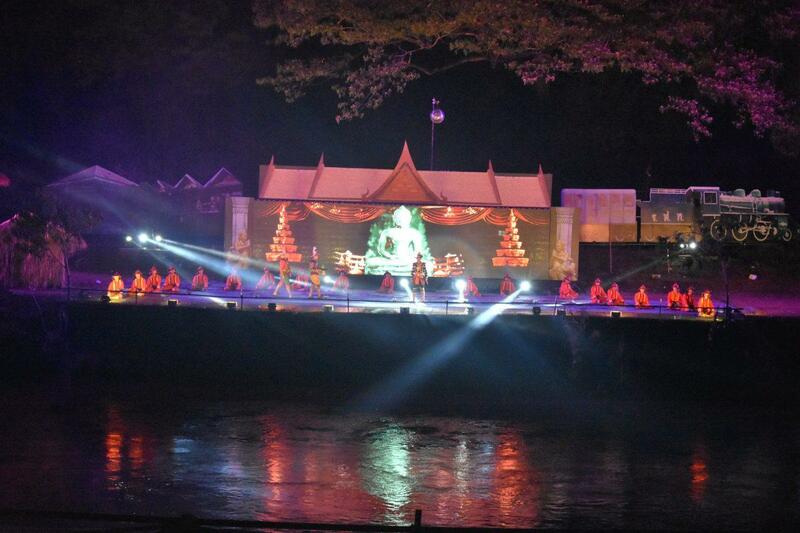 The show was on a stage on the other side of the Pasak River from Wat Kaeng Khoi temple. 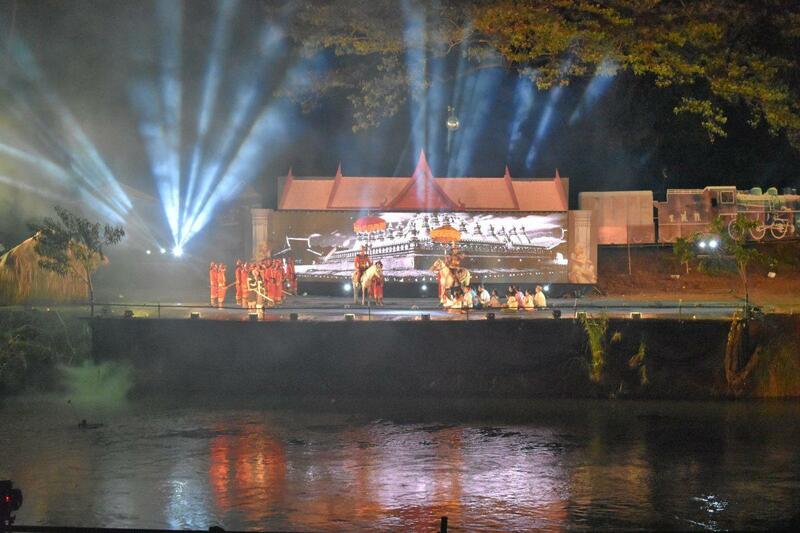 There was seating on the riverbank and standing room on the temple’s riverside platform. We had front row seats with a great view. 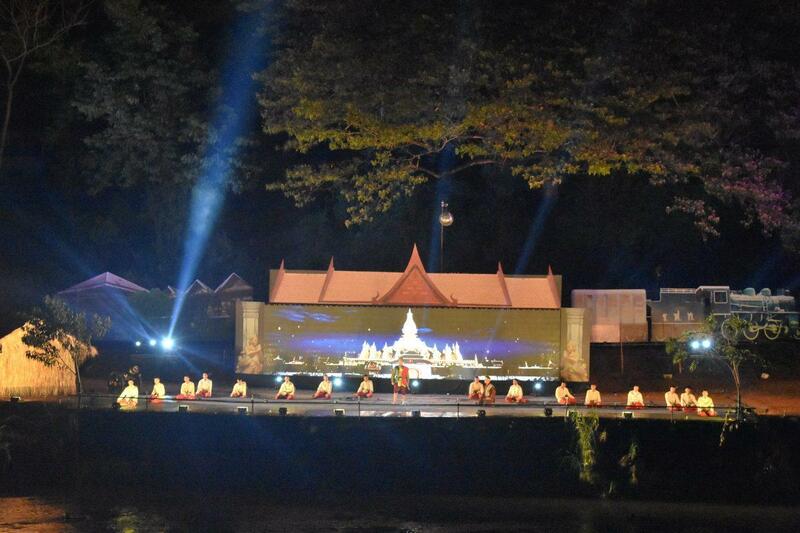 The first half of the show narrated the story of Kaeng Khoi from wars with Burma & Laos through to the reign of King Rama V. The King was the monarch responsible for railway construction in Thailand starting in the 1890s. Kaeng Khoi Junction (built 1897) later became an important part of the railway system housing an important locomotive depot. 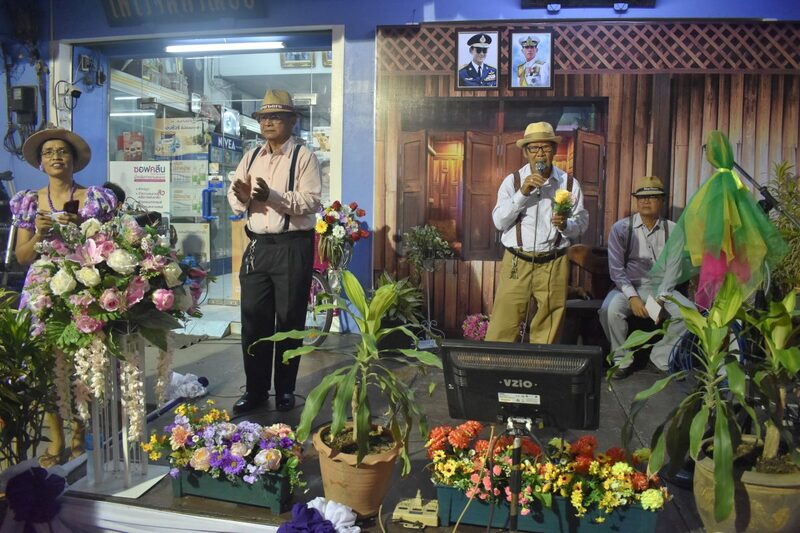 The second part of the show details the outbreak of World War 2, the Japanese invasion & occupation of Thailand & the lives of the local people during that period. 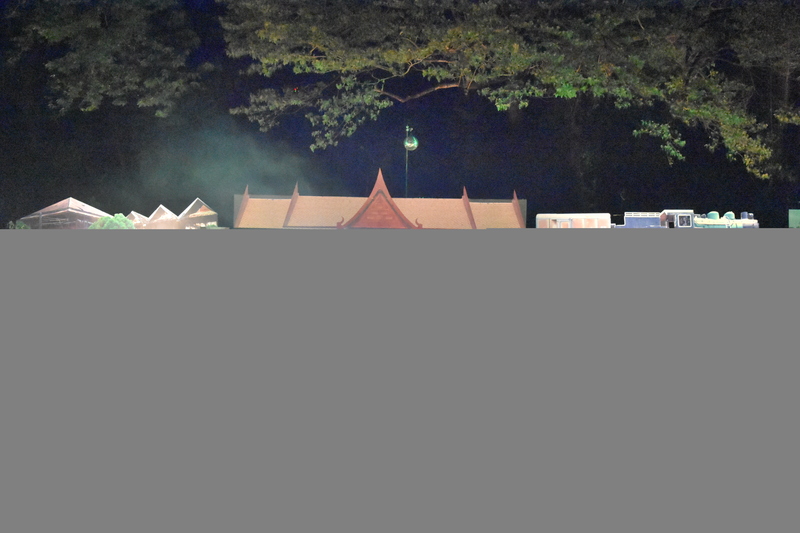 Kaeng Khoi was an important Japanese military site with a large base & railway depot. On April 3rd, 1945 an allied air raid destroyed the junction except for the locomotive depot (the main target). The raid featured B24 bombers from the Canadian Air Force based in Burma. The collaborative Thai Military government had declared war on the United States & Britain after the Japanese invasion. 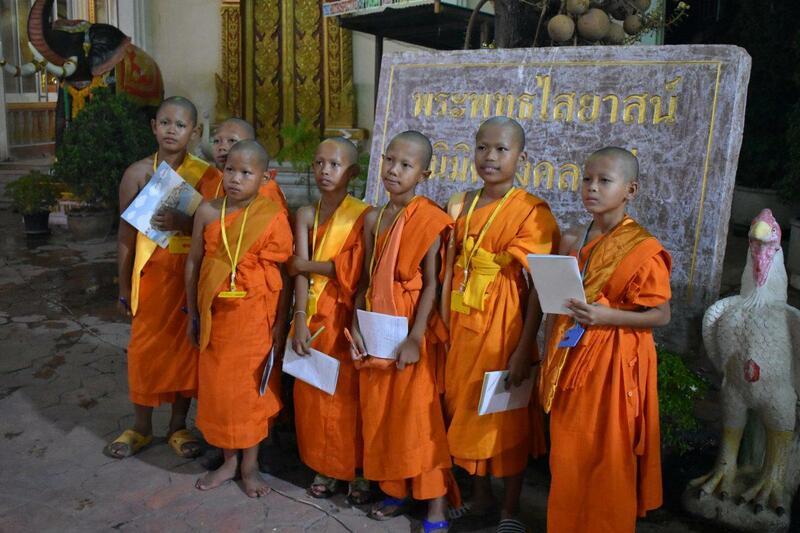 Unfortunately, as is so often the case the main victims of the bombing were Thai civilians. The town’s market and many houses near the railway junction got hit by wayward bombs. The highlight of the shows second part is a reconstruction of the air raid with drones, and some impressive pyrotechnics. The show concludes with the defeat of the Japanese and liberation from the invaders. The show was excellent and great entertainment. The cast was superb as were the costumes, lighting and special effects. 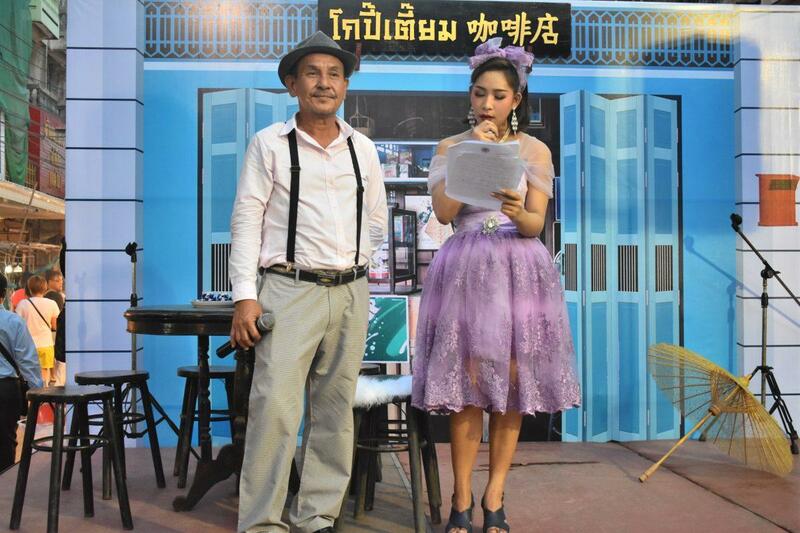 The only drawback for a foreigner is the Thai language commentary, though the story is easy to follow visually. 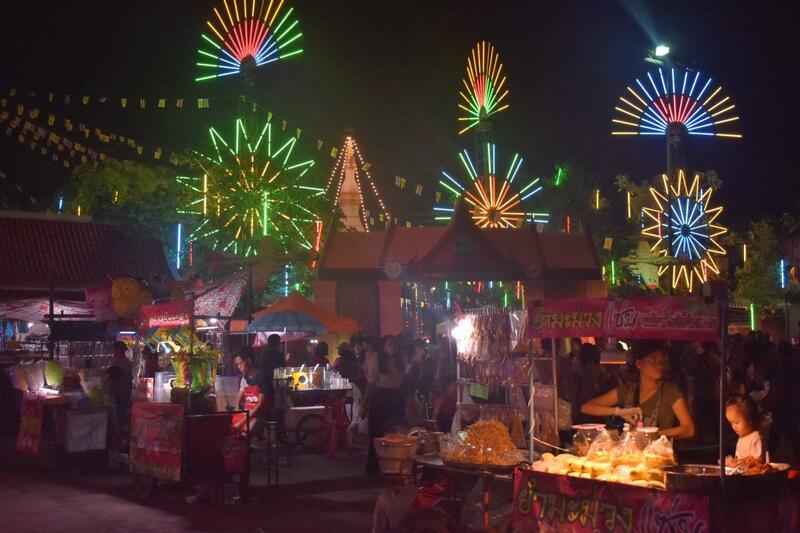 Kaeng Khoi is in Saraburi province, north of Bangkok. 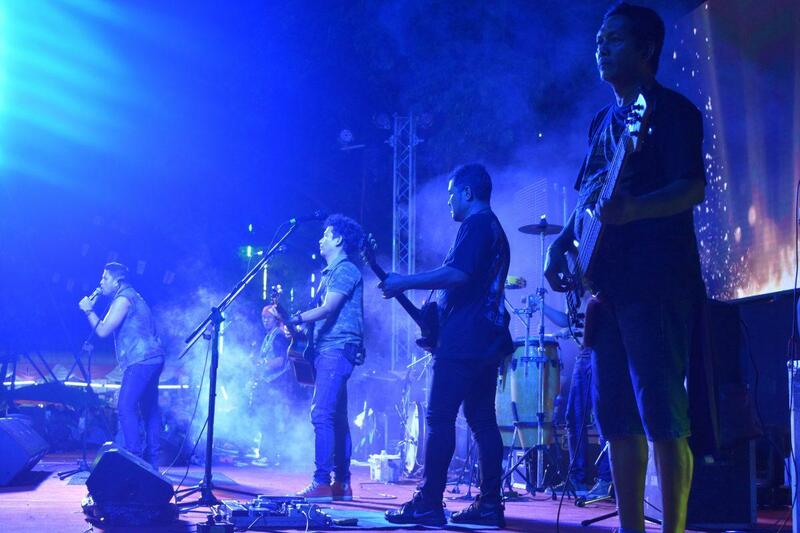 The Festival will be held again next year on April 2-4 2020. 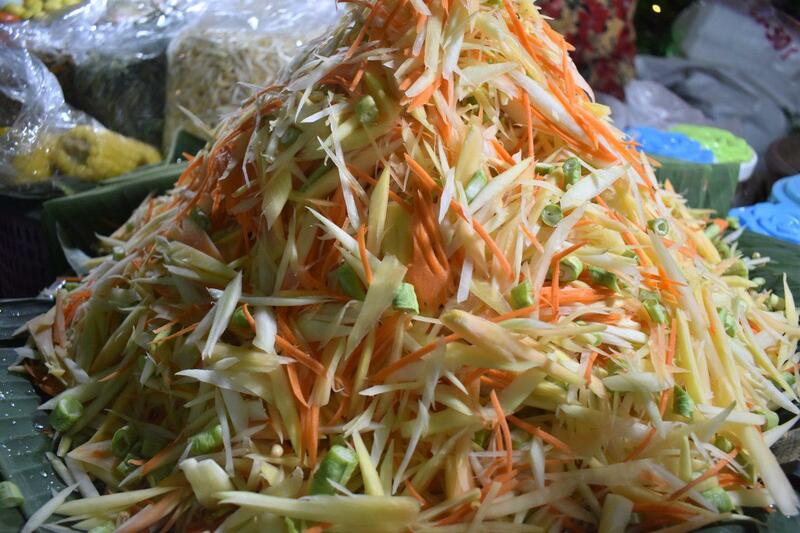 Kaeng Khoi is easy to get to by Public Van from Chatuchak Van Station or by Train from Hualamphong Station in Bangkok. Tickets are 100 baht. Journey time 2.5 hours.